Not all businesses are the same, but most are affected by the November and December holidays in some way. These two months bring a vast amount of holiday activity, sales rushes, advertising booms, but also influence the following month January. After all the holidays at the end of the year when the celebrations are over, a calmer January arrives. January is a time to kick off without the holiday craze and rushes, very targeted marketing efforts. While the masses are recovering from the holidays, businesses should gear-up their marketing efforts for the first quarter and New Year. Regardless of type of business or size, January brings opportunities for a company. To take advantage of January, a business should dedicate resources to jump-start the business for the year with these 5 easy marketing tips for January that bring results. When research online for January marketing help, one finds mostly the special holiday days during the month of January. This does not necessary help a business. January is not like November and December; people do not buy in January for the same reasons. January is a time to put proven marketing techniques to work in specific ways that bring results for the first quarter and the New Year. Here are 5 easy marketing tips for January that are results oriented. Shifting focus of marketing efforts away from December holidays and towards upcoming holidays can focus consumers, website and brick and mortar store visitors. Holidays such as Valentine’s Day are the next upcoming larger sales holiday after December in North America. January allows for a shift in content marketing strategies and campaigns. Now blogs, articles, social media marketing, videos, and images of companies can shift focus away from Thanksgiving, Black Friday, Cyber Monday, and Christmas. Companies that take advantage of the shift through marketing can yield better results. A business that catered to the Thanksgiving and Christmas holidays, probably optimized websites and marketing efforts for these holidays. In January, these businesses should optimize their websites and efforts now for the New Year. Websites should be optimized for the New Year goals of the company and away from the previous holiday keyword phrases, content, and displayed offers. January allows a business to focus on the upcoming year and the related objectives through optimization of existing assets such as websites and existing marketing structures. 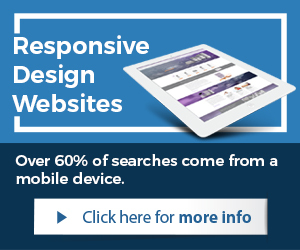 Even though many businesses have taken advantage of having Responsive Design websites for their company, too many still have not. Here is the importance of it, since last year over 60% of Internet users have accessed websites through mobile devices such as tablets and smart phones. Websites that are not Responsive Design cannot be seen properly and in some cases at all through mobile devices. 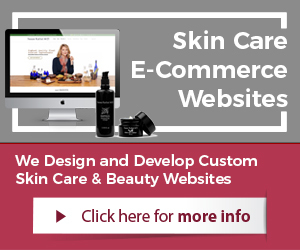 Websites have to be Responsive these days to function properly but also be competitive. Most of all, customers and consumers in general expect websites from businesses to be Responsive. After all the Google changes of 2013 and 2014, it will be even more important for a business to publish quality content over quantity. Publishing frequently content such as blogging, press releases, writing authority articles, videos, and images will be important but for results, they have to be unique, relevant, and quality driven. Google’s Panda, Penguin, and Hummingbird algorithm changes are driving marketers and companies towards more quality driven content over quantity. This will be a continued trend in 2015. A business should start in January with quality content marketing for best results. January brings for some companies special opportunities in sales. Often January is a month when certain types of companies sell off some of their inventories, over-stock, and items that need to be liquidated. Since the end of the year holiday rush is over, these companies now can benefit from marketing in January for these sales opportunities. Companies can promote discounts, special day sales, January promotions, and so on to see faster results with marketing efforts and sales. 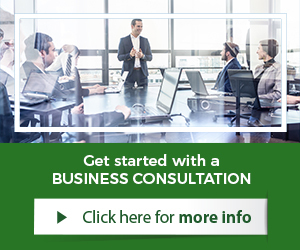 A business that wishes to get more information and details can always get started with a consultation or work with marketing professionals through marketing services. Experienced staff ensures proper setup, management, and results for the New Year 2015.